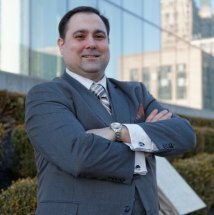 Dedicated advocate focused on DWI, criminal defense, and traffic tickets. My practice pattern at the Cimasi Law Office is focused on DWI, criminal defense, and traffic matters (e.g. speeding, mechanical violations, unlicensed operation, etc.) in courts across Western New York. I also represent clients on parole violations and landlord-tenant matters. I am a highly meticulous and diligent practitioner who seeks to provide dedicated service to each client, regardless how big or small the matter. I am always available by phone, and there is no fee for initial consultations. I also teach courses in sociology and legal studies to undergraduates at the University at Buffalo ("UB") and Buffalo State College. After years of direct involvement as the Director of the UB legal aid office, I still routinely assist and counsel both domestic and international on legal issues. My recent service work has included pro-bono legal services through the Volunteers Lawyers Project, tutoring elementary school students through the Lawyers-for-Learning Program, serving on the Zoning Board or Appeals for the Town of Amherst, New York, serving on the Alumni Board of Governors for Canisius High School, and serving as School Board Secretary for, St. Benedict School. Michael Charles Cimasi & Charles R. Cimasi. “The Rumors of the Death of Private Practice are Greatly Exaggerated,” WNY PHYSICIAN MAGAZINE: Vol 4, October 2017.